Since 2011 Danna Farms Inc. has to committed to product excellence for our customers. To maintain the highest levels in food safety and quality, we have implemented a Food Safety Program complying with FSMA(Food Safety Modernization Act ) guidelines that help protect our customers as well as maintain a sustainable environment. The initiation of this program is another step that we have taken to continue to supply quality products to our valued customers and maintain safe health and environmental practices. Danna Farms Inc. has consulted DFA of California to insure their facility meets minimum standards imposed on the walnut industry by FSMA. 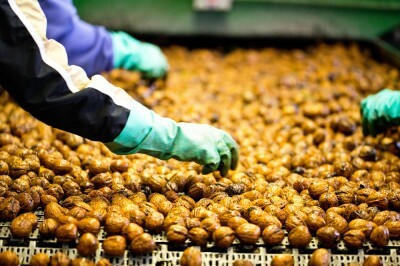 DFA of California conducts Walnut Huller Food Safety & GMP Audits annually to assist growers and huller operators to be compliant with industry regulations. See audit report. Danna Farms Inc. is a member of Sunsweet Co-op, which is the largest producer of prune products in the world. Every year Sunsweet composes a stringent internal audit upon their growers and independent dryer operators to insure they are growing only the finest quality product for their customers. See audit certificate. Danna Farms Inc. has utilized the services of Primus Labs for its Food Safety and Food Security Programs for melons, cantaloupes and squash. Primus is a leading third party provider of certification, auditing and testing services, and standards. Their goal is to recognize the highest levels of performance in food safety and quality. See audit reports.